A random toilet clog, or a kitchen sink is probably nothing to loose sleep over, but if it’s a little more than “random” you may have a real issue that we can take care of for you. Drains are a great thing when they are working correctly. This integral part of your life that you never think about can sure ruin your day when things start to back up. The good news is with modern piping, and a proper installation, you could have a lifetime of clear drains, but life being what it is, you may not. 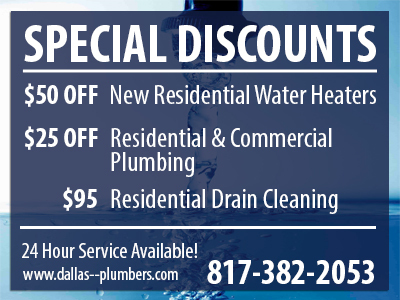 When your drains start slowing down, give us a call. One of our licensed plumbers will answer all of your questions and have your drains and sewers draining quickly and smoothly in no time at all. Over time, there are a few things that can go wrong to the best of systems. Trees can grow around your drain line, and the roots can lift, push, squeeze, and pull your drain line, causing all sorts of problems. The entire Dallas area suffers from expansive soil. As rains come, or don’t, the dirt in your yard is heaving up and down on a regular basis. This can cause the intended fall that the pipe should have (we call it grade) to flatten out or even belly. This will cause all sorts of clogs. That same expansive soil will also be moving your foundation. And of that is bad enough in itself, a few tons of concrete heaving up and down on your pipes aren’t doing them any favors. 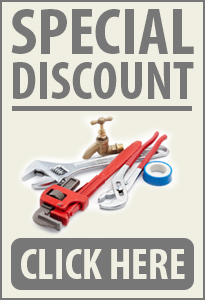 Our plumbing technicians have years of experience diagnosing and repairing all types of clogs and other piping problems. 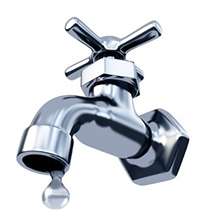 Old pipes are a leading contributor to drain and sewer problems. Cast Iron pipe, once the mainstay (and bane to plumbers’ bad backs) was the primary option that was used on all indoor drain piping. There was a little galvanized, lead and copper pipe used, but the bulk of the older drain systems are piped in cast iron. Cast iron pipe isn’t all bad. We come into a lot of systems where it is holding up nicely. But over time in direct burial applications corrosion seems to get the better of it. First a little leak, then a little roots, and finally one big clogged mess! There are a few other “special” things that we run into out in your yard. If you are in one of the older downtown homes, you may have clay, orangeburg, or concrete pipe. No matter what type of pipes you have in the ground, our team knows how to clear it, fix it, and if necessary, replace it. Give us a call today to find out what we can do to keep your drains and sewers clear. 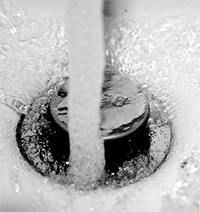 Expert drain cleaning services by professional plumbers can be a real hassle, but we have the solution. First, our professional contractors will open the line and review the problem at hand. Then he will use our company process to thoroughly clean any clogs that are there. From problems as simple as when your two year old has flushed his favorite toy down the toilet to a more difficult sewer backup – we’ve got the equipment and the trained technicians on the job to get things flowing for you quickly and efficiently. Bathroom sink, bathtub, kitchen sink, main sewer, etc. we can take care of all of it for you in a jiffy.